Wem District Thinking Day celebrations. Wem District Thinking Day celebrations were held on Sunday 19th February at Attingham Park. Over sixty Rainbows, Brownies, Guides and Senior Section attended the event and spent the afternoon involved in outdoor challenges ranging from Picture Trails around the Mansion to Orienteering across the park. 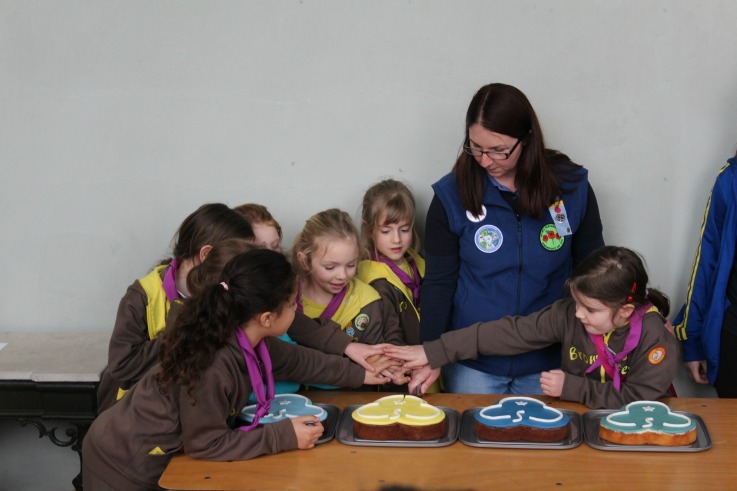 Everyone gathered in the afternoon to renew their promise and enjoy a slice of Trefoil Cake; the day ended with a traditional evening of campfire singing.